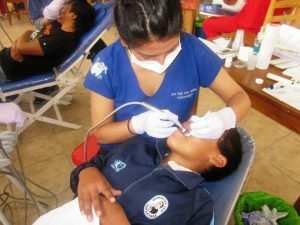 In 2018, our Connecting Angels family adopted the cause for providing free dental services to the disadvantaged and poor communities in Cusco, Peru. 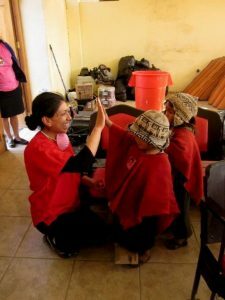 Meet Thula, an angel in Peru, a mother and a dentist, who has been providing free dental services to the poorest communities in Peru, taking her campaign from village to village, helping children and adults, save their teeth and their health. 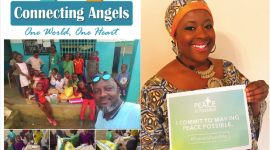 Tula’s story is very moving, a true tale of an angel, and we are committed to being the connection to provide her with the necessary tools to continue her mission of kindness, one child at a time. 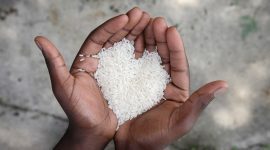 Tula started volunteering since 2008 with an organization helping children, where her desire was birthed to continue doing a variety of volunteer services to help mankind. In 2009, she met two amazing individuals, Michael and George Houk, from the United States, who invited her to participate in their campaign in the Sacred Valley, and her dreams came true. 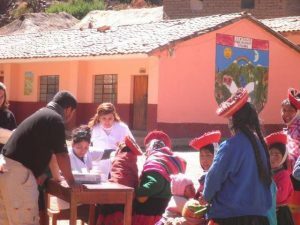 By 2010, she again participated in Ollantaytambo for 15 days, where she provided free dental care to the community. She discovered in this campaign, that many people did not have access to care, even when they were in pain, they had to travel long distances, by foot, due to no transportation, just to get to the closest medical center for help. Tula found this very unfair. 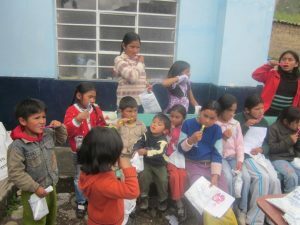 In Cusco, the population is by far very poor, and the people can not afford dental care, no supplies for common dental hygiene, like toothbrushes, toothpaste and more. The children are the hardest-hit, a statistic that broke Tula’s heart, for she understood too well, that these children, just wanted to smile and feel good about themselves, instead of covering their mouths in shame! 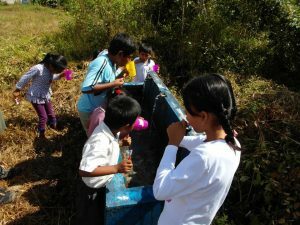 Tula was determined to help make a difference in their lives. 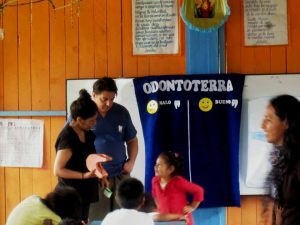 Tula told us, that after a dental care campaign, on her return visit, the smiles and joy on the faces of the population, some with no more cavities, no more pain, and improved self-esteem, was all the thanks she needed. She is determined to continue her mission, and we are determined to help her. 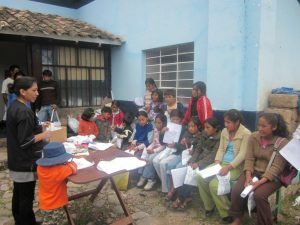 Tula, so far, purchased 2 small mobile dental clinics, but she says that is not enough. 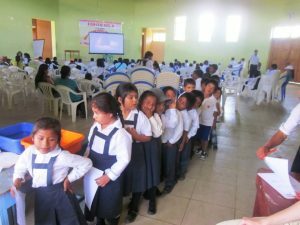 She is calling out to us, angels, to connect with the plight of the indigenous children in Peru, to provide free dental care and supplies. 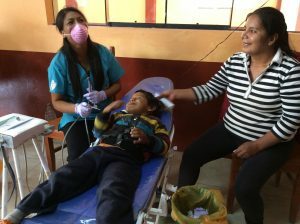 Connecting Angels is proud to adopt Tula’s mission, to meet her goal to provide free dental care to the poorest communities in Peru. We are planning a mission trip this 2018, to take dental supplies to Tula. 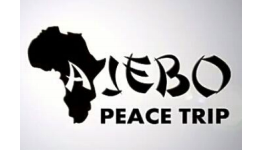 We are counting on your support to help us fund this trip and supplies. 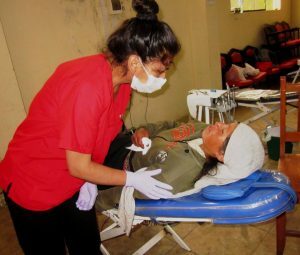 We need funding to purchase additional mobile dental clinic supplies, tables, toothbrushes, dental floss, toothpaste, mouthwash, painkillers, gloves, and more. 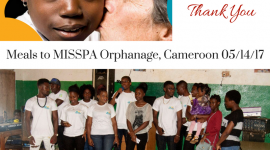 Your generous support is greatly needed and appreciated. 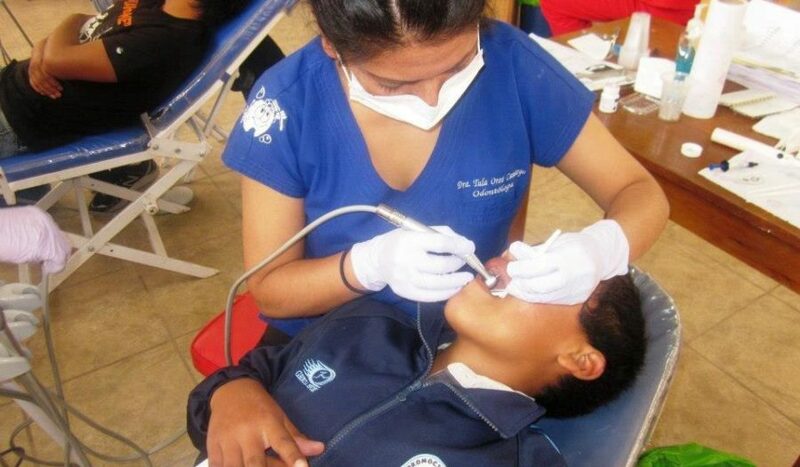 Children should not have to walk around with deformities in their mouths due to lack of access to adequate dental care. Help us be angels in their lives, with a tax-deductible donation for this cause. Most of all, please share this story and cause with your friends, so they too may help this mission.